From Blue Sky's perspective, of course. When it comes to Disney Villains, like the classic Maleficent or Chernabog, they are absolutes. They are evil. Living, breathing examples of it. There are no faults, no frailties, no hidden meanings, no shades of gray... they exist for the purpose of symbolizing evil in its most pure form. Now a Pixar Villain, or Bad Guy as I refer to them is... misunderstood. He or she has many complexities in terms of what motivates them. They are not evil. Their actions may result in bad things, but it's not the villain's goal, it is the results that determine that. Al from "Toy Story 2" isn't evil, he's greedy. Even Zurg is simply a distraught father acting out his aggression. The characters that make up the foil of each picture the Lamp comes out with didn't start off on the wrong side of the tracks, but Disney Villains are born to be what they are. Look at the villain of "Monster's Inc.", Mr. Waternoose. He's a guy trying to save his company and in so doing he does horrible things that make him the obsticle in the film. A very, very bad obsticle. Now compare him to Jafar from "Aladdin", a creature of absolute, dark persona in quest of total power. This isn't to say you can't find bad guys in Disney films or villains in Pixar films... but the primary focus is what I'm refering to. One example of the way Pixar takes care of this is the Zurg character in the second Toy Story film. See how he's portrayed in the video game? The unreal world of that film is where Zurg is a pure villain, but when seen in the real environment that "Toy Story 2" takes place in, he's a more human, more flawed creation. One that we identify with more. Could you ever see Cruella De Vil holding a puppy lovingly as a child? Or Madame Mim every in her entire hag life doing anything altruistic? Professor Ratigan? The Queen of Hearts? Shere Khan? And that's not so bad, is it? Gaston is evil. He was born looking the way he was and realizing it. Nothing or anyone was better or more deserving. I came to this realization several days ago as well after rewatching Ratatouille. For the life of me, I couldn't name one "villain" in that movie. Skinner just wanted to keep his job yet still try to bring Gusteau's back from bankruptcy. Ego was just an overly negative critic, as I'm sure I can find anywhere (ahem, AICN, ahem). But these two were not really even "bad guys." Their flaws were not even frowned upon. Zurg is not in any way the villain in Toy Story 2. Al is the primary villain, and the Prospector is the secondary villain. Zurg is comic relief more than anything else. And don't give Al too much credit. He's not only greedy, he's also a thief -- he stole Woody from the yard sale after Andy's Mom told him Woody was not for sale. And what about Hopper from Bug's Life? Villain. Randall in Monsters Inc? Villain. Syndrome? Yeah, they give him a backstory, but he's still a villain. Chick Hicks from Cars? Total jerk. No redeeming qualities. I just don't think your hypothesis completely holds up for every Pixar film. Pixar's goal when they made Toy Story was "No villains". They've pretty much stuck with that ever since. The one movie that had a true villain was The Incredibles. Looking at their upcoming slate it appears that they are going to hold true to form. You can call them "villains" or "bad guys" but they serve the same function. And yeah, maybe in a few cases they are a little more nuanced than a wicked queen or stepmother, but again, they serve the same fundamental function. And to those who don't think Skinner is a villain? He undermined Linguini at every possible turn and he wanted to completely sell-out Gusteau's legacy and reputation. He's a villain. I heard that Sid from Toy Story was really how animators were in their childhoods. In fact, the only one that can relate to Andy is John Lasseter. On the Toy Story DVD extras, in the making of I believe one of the animators talks about how Sid is like what an animator's childhood would've been like. Al - a petty, weak man who gives into his vices. He is not however, evil and therefore not a villain, like the ones Honor is talking about. Prospector Pete - A character that's lived all his life couped up, he's trying to do what he feels is the right thing. He's not engaged in some global event with delusions of power. Not a villain. Hopper - Is the closest thing to a villain, but even he qualifies as someone looking out for his tribe. He's not a villain the way a Disney Villain is. Randall - Randall is a greedy corporate type. He's not a villain. Syndrome - He's a child who grew up and had his dreams shattered by his hero and then spent the rest of his time taking revenge for what he feels was the "slight" that heroes did to him. He considers himself a victim, not a villain. I believe he's the bad guy, but he's not evil. Not like Cruella or Ursula. Chick Hicks - He's a self-absorbed moron with an over-inflated ego. Not a villain. Otto ("Auto Pilot")- No more of a villain than HAL which Otto is a homage to. He's simply a computer trying to do what he was programmed to do. He's not a villain. Hopper is just "looking out for his tribe"??? For pete's sake, he's turned the ant colony into slaves. He brutalizes and terrorizes them from his first appearance in the film to his last. He's a clear cut villain. Unless you're willing to say that Cinderella's stepmother was just "looking out" for her two daughters. And Chick is just a "a self-absorbed moron with an over-inflated ego"? You just described Gaston too. Randall? Willing to do anything to get what he wants. Established early on that he will cheat to get ahead and later shows no regard for Boo's life -- willing to torture her for his own gain. He's rotten to the core with no redeeming qualities. He consistently acts like a prototypical villain. Chick didn't try and kill anyone. He was an a-hole. Not all a-holes are villains. They may be bad, they may be jerks, but they're not the same as a Disney Villain. You want to compare a talking car that is rude and wants to win a race to Malificent? Maybe one should check the definition of a "villain". I think you can say that Pixar does involve characters with "evil" qualities. I think the blogger's point was "absolute evil" - which none of the Pixar Villains represent. Yes, there are Pixar Villains; Syndrome and Hopper are the best examples...but they do not represent absolute dark evil like the Disney films. Good post, It's an interesting point. I do understand the nuance. The Disney classics have some great archtype villains. I get it. I think Hopper is an "absolute" villain. I don't see any way to soft-pedal it. With the others, I'm simply arguing that Pixar has genuinely villainous characters, even if they aren't "pure evil" villains like Maleficent or Cruella. Regarding Chick, my only point is that he's willing to hurt others to get his way, and his motivation is to feed his own ego and arrogance. In priniciple he's a car version of Gaston, even if he doesn't go to the murderous extreme of Gaston. Who agrees there hasn't been a memorable Disney villain in years? 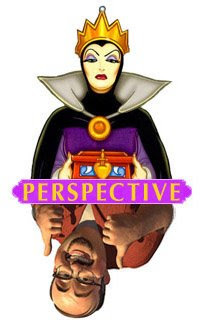 I've also noticed the difference between Pixar and Disney villans, and think there's also an important difference in way the conflict between the heros and villans are resolved. In the traditional stories, the conflict is usually resolved by the death of the villan. But "Bugs Life" and "Incredibles" are the only Pixar films where the villan dies. I think this is another strength of the Pixar stories. I wouldn't necessarily say it's a strength Pixar has over Disney that they don't traditionally kill off their villains. With the type of stories Disney has told over the years, it was fitting that those villains bit the dust. With many of them being those fantastical, all-evil villains, it's really one of the only ways to get rid of them. Pixar's stories are so different in type, style, and even structure (and they wanted that), that for the most part, killing off their villains isn't necessary. On another note, I agree with Honor, to a degree. The type of stories that Disney has told have those all-powerful, true evil villains- and rightfully so. Pixar's style and structure is so different that the types of adversaries they present are befitting to them. I would disagree on a few...Hopper was pretty evil throughout...and I after just watching Monster's Inc., Randall was definitely a more classic all-evil villain. I wouldn't say one studio or their villains is better than the other. Randall is not evil, 'rotten to core' or villain. He's misunderstood. Randall was always second-best. And everybody favoured sulley more. He didn't cheat- he needed Boo for machine. And who is behind it all? Mr. Waternoose. Randall was just working for it. He even stroked Boo. All he wanted was respect. And when he made the machine, what wanted Waternoose, He didn't gain anything. Waternoose still was negative to him. Ok, just type in youtube - why Randall Boggs is not evil, and then you will (hopefully) understand everything.